The Dare Cribbing Control Collar for Horses is rated 4.30 out of 5 by 118. As always Valley Vet's service is awesome! I received the Dare cribbing collar quickly and packaged well. I was really impressed with the quality of the Dare cribbing collar! Materials and workmanship couldn't be better. Oh! Did I mention that it worked without rubbing my horse's hair off? This is THE BEST cribbing collar on the market. If you have a cribber, I HIGHLY recommend the Dare cribbing collar. 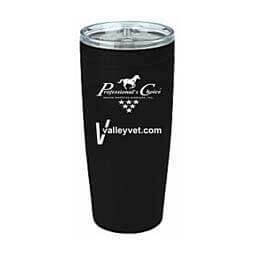 Valley Vet always has the best prices on whatever I need to order and fast service. I have never had any problems with Valley Vet. The collar looks secure but my horse was able to get it off even when secured tightly. It seems very comfortable for the horse causing lots of stomping with his feet. Would not recommend as a good device. Arrived very quickly and high quality!!! Priced competitively! My horses were pulling water tubs over. This has helped stop that, but they still try. The collar doesn't bother or irritate either horse. Great quality but it didn't stop my mare from cribbing even after I repeatedly tightened it. This could most likely be because my horse is a 14.1 quarter horse. I think it is possibly too large for her throat latch. I'm on my 3rd Dare Cribbing Collar... It's the ONLY one that works for my horse! He can crib from any position and has a neck like the Incredible Hulk! I'm so happy I found this collar - it looks terrible, but in reality, the wide strap distributes pressure more evenly and over a larger section of his neck so he doesn't get sore. As well, not having a strap over his forehead is so much better! I do have to make it snug, but another horse we have can wear it with the appropriate tightness and is absolutely not bothered by it in the least - the Miracle Collar had to be tightened too much and made him sore. You won't regret this collar and your horse will be happier! My mare has been a chronic cribber...no crib strap I have bough has really ever worked, until now! The Dare crib strap has been on her for a couple of months, and she is not cribbing, even when it comes off for her 3 hours turnout! It does not rub her and does not need to be restrictively tight. I am thrilled! This collar fits my average size horse very comfortably and has completely stopped his obsessive cribbing. I'm very pleased with it because I do not need to over tighten the collar for it to be effective. Excellent quality leather and very well made. Highly recommended! Recently bought this since nothing else worked. A friend had one and recommended me to give it a try. So far, no cribbing!! As happy as can be that I got one. Just wish I hadn't invested so much money in all the other cribbing straps. Everybody should buy a Dare strap!! They're the best!! Good quality leather. Helped to control my horses cribbing. Hasn't left any rubs or marks. Bought this because the claim to fame was that it didn't need to be adjusted as tightly as other types of cribbing collars. NOT! Waste of money AGAIN! Everyone said this was supposed to be the one, but even on the super tight setting, my horse still cribbed (yes, actual cribbing, not just wind sucking). I tried to use a Miracle collar first but not effective and shock collar but not effective also. I research all reviews and I decided to try this Dare collar. So I bought this Dare collar in a month ago and it work on my cribbing/windsucker horse. He stopped cribbing since he wear this collar and I am happy with that. I recommend this collar. After looking at crib collars for awhile I finally found this collar and it was just what we were looking for. Great investment. I bought this collar a month ago for a chronic cribbing horse. After using other collars this is the only collar that stopped him. Love this product highly recommend it!!! I will never buy another brand of collar again. The collar stays so loose on their neck but yet still does its job! No more sores on my horses head!! Was skeptical at first but I LOVE this collar! I have tried them all and this works the best. Totally satisfied with this product and would highly recommend it. I purchased the Dare Cribbing Control Collar over a month ago. This is the only crib collar the has completely stopped my long-time cribber from cribbing. It fits well and does not appear to cause any discomfort.. Very well made and attractive. My 26yo QH is a totally different horse now that he is not obsessed with cribbing. We are extremely satisfied with this product.